A great tool for doing this is ‘Phatch’, a free and open source platform that will allow editing of images in bulk and easily. The properties that we can change are size, resolution, size limit, transpose images, watermarks, borders, shadows, text … great tool for those who work with many images. Phatch alter images in bulk . 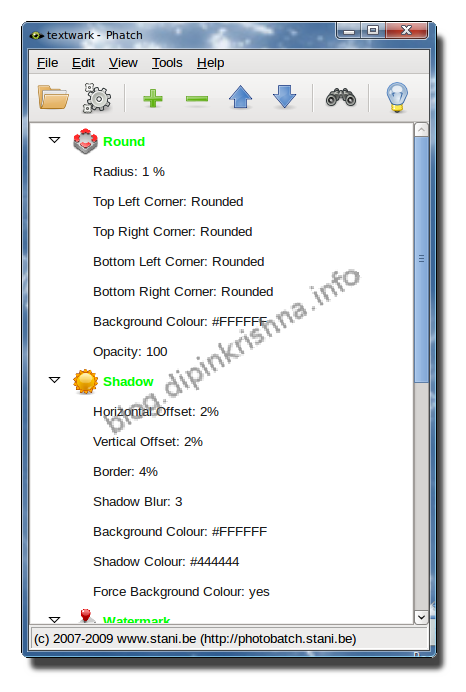 In the picture we can see some of its main functions, but we can select by clicking on the top and select the option ALL. 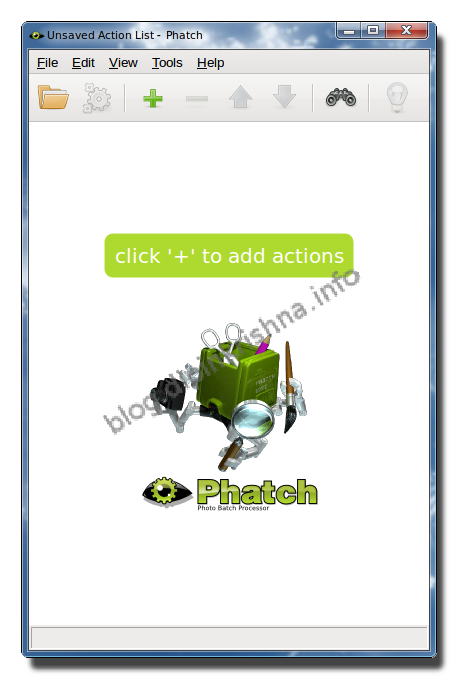 Download Phatch tool for the mass modification of images.